Mathilde Thomas was a talented sculptress and she created several fine dog groups. She is best know for her "Wind Hunde" or Borzoi which shows a pair of Russian Wolfhounds. But she also did this amusing group of Two Terriers struggling against a rope holding them together. This bronze depicts two Terrier Dogs which are tied together with a rope lead and struggling to get loose. The dogs are both unhappy with being tethered with each other, so they are pulling against themselves in an effort to get free. 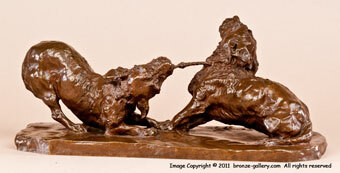 A rare model, this bronze does not often come up for sale. It is a fine cast done by the Thiebaut Freres foundry in Paris and has their seal on the base. 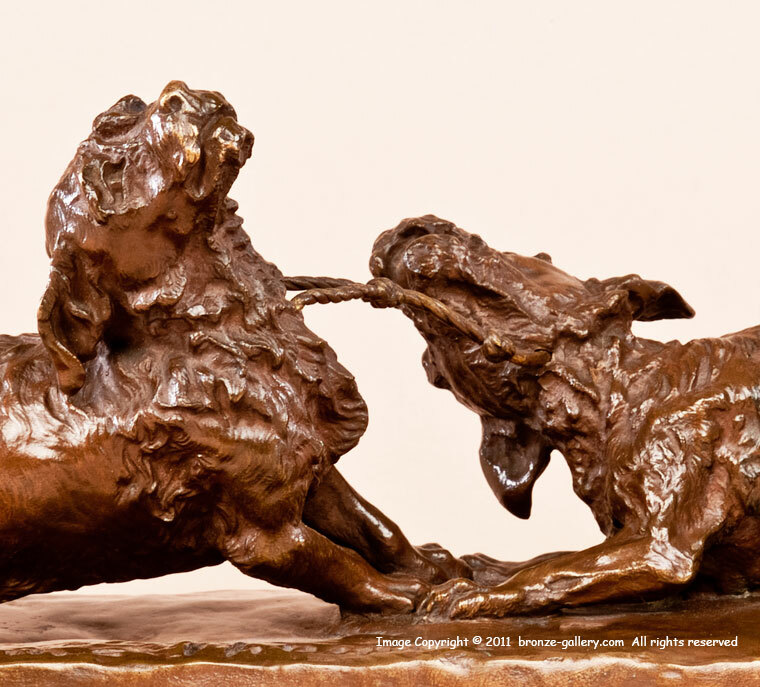 It has a rich brown patina and such a lively subject would be enjoyed by any dog lover.